An illuminating and sometimes alarming book, “Dreamers: How Young Indians are Changing the World”, speaks about 600 million people, more than half of India’s population, are under 25 years old; no country has more young people. According to ‘World Population Prospects: The 2015 revision’ Population Database of the United Nations Population Division, India has the world’s highest number of 10 to 24-year-olds. The regularity and efficiency of the census operation in India add rigor to the measurement of Youth in India. The decennial enumeration through the Population Census throws up consistent estimates of youth in India. As per India’s Census 2011, Youth (15-24 years) in India constitutes one-fifth (19.1%) of India’s total population. India is expected to have a 34.33% share of youth in the total population by 2020. Though it is a matter of pride to have the highest number of young people in India and in Asia, the life experiences and perspectives of young people in the 21st century differ greatly. About 87 percent of young women and men living in developing countries face challenges brought about by limited and unequal access to resources, healthcare, education, training, and employment as well as economic, social and political opportunities. In many parts of the world, youth face poverty, hunger, barriers to education, multiple and intersecting forms of discrimination, violence, and limited opportunities for growth and employment prospects. Youth is often excluded from decision-making processes and generally looks at untraditional avenues for civic engagement. More than 600 million youth live in fragile and conflict-affected countries and territories. Young people are both the victims and the perpetrators of the violence in societies they live in. This diversity of situations explains why youth is considered both a source of concern and a beacon of hope and positive thinking. While the complexity of today’s social, economic, political and environmental issues constitutes a significant challenge, it also offers tremendous opportunities for youth to show their strengths as a strong self-organizing force with the potential for innovation and for embracing change. Success in addressing the today’s multiple development challenges facing youth will depend on finding ways to fight poverty, inequality and discrimination, deepen inclusion, and reduce conflict – and doing so without compromising human rights or inflicting irreversible damage on environmental systems. 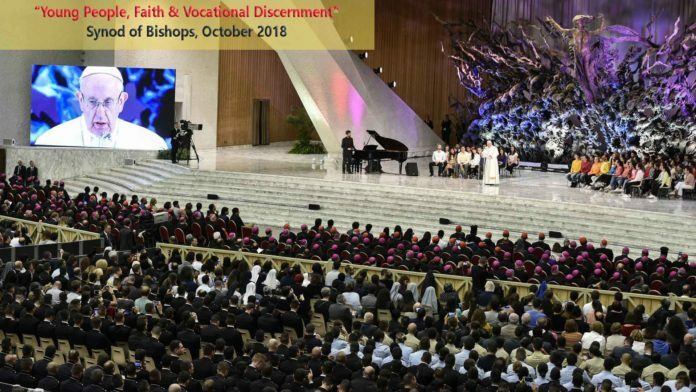 It is against this backdrop one can greatly appreciate the recently concluded Synod of Bishop on “Young people, faith and vocational discernment” (3rd – 28th Oct. 2018). 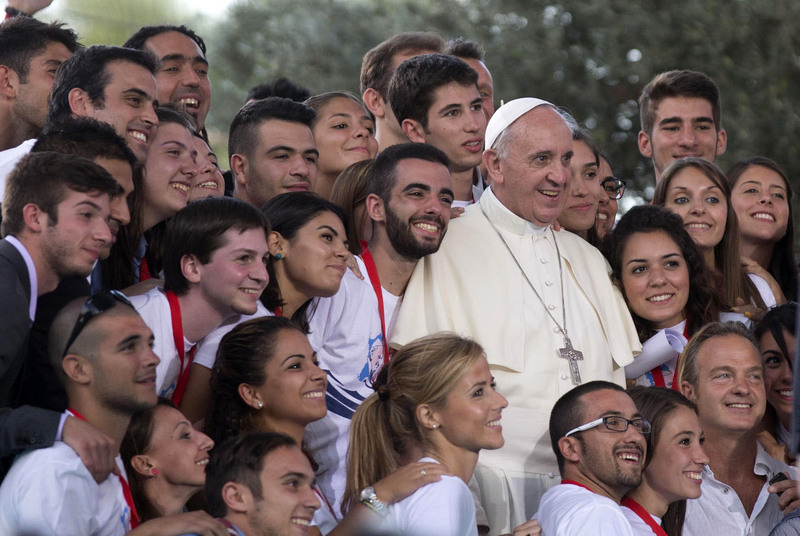 The Holy Father through the synod invites us to listen to, support, guide, include young people. The Catholic Church and all its members must get better at listening to young people, taking their questions seriously, recognizing them as full members of the church, patiently walking with them and offering guidance as they discern the best way to live their faith. The synod, brought together 267 voting members – cardinals, bishops, 18 priests and two religious brothers – and 72 experts and observers, including three dozen men and women under 30. 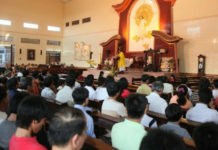 The focus of the final document of the synod was on improving ways to support young Catholics’ baptismal call to holiness, to welcome the contributions they make to the church and help them in their process of growing in faith and in deciding the state of life that would best correspond to what God wants from them. Members of the synod also praised young Catholics who are involved in their parishes or communities, who dedicate themselves enthusiastically to service projects, who offer their time and talent to the celebration of parish liturgies and who are willing to do even more. 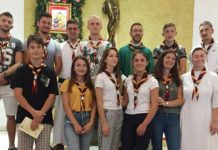 However, the document also notes, that too often young volunteers are met by priests and other adults who doubt their commitment or preparation or are simply unwilling to share responsibility with them. 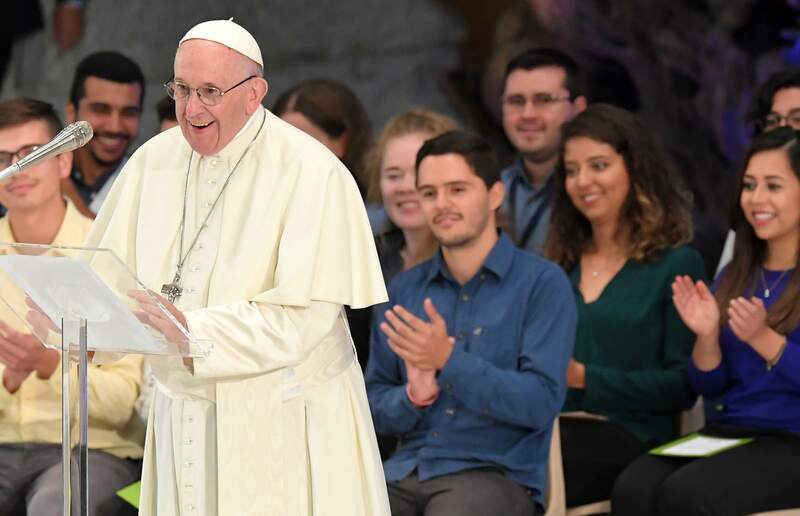 While young people can feel overlooked or ignored, the synod members said such attitudes are detrimental to the church and to its missionary mandate. 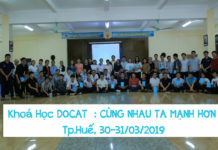 Young people challenge the church to be better and their questions force older church members to find clearer ways to express church teaching or to respond to new situations with the wisdom of faith. 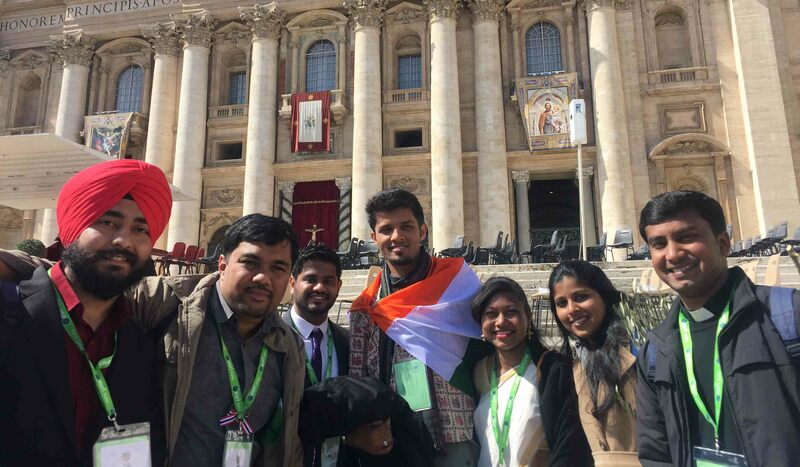 Young people who are poor or experience discrimination – especially migrants, victims of religious persecution and those struggling to find employment – received special attention at the synod and in the final document. In fact, the synod said, “the world of young people is also deeply marked by the experience of vulnerability, disability, illness and pain” and Catholic communities have not always done everything possible to welcome and assist them. Pope Francis in his closing homily at the Synod of Bishops on October 28th had this to say, “Forgive us if often we have not listened to you; if, instead of opening our hearts, we have filled your ears. As Christ’s church, we want to listen to you with love” because young people’s lives are precious in God’s eyes and “in our eyes, too,”. Living the faith and sharing it with the world, especially with young people, entails going out to those in need, listening, being close to them and bearing witness to Jesus’ liberating message of salvation. Like Pope Francis, we too, need to seek forgiveness for our failure to bring God’s plentiful redemption to the largest section of India’s population – the youth. They are the most abandoned of our times – both spiritually and materially. They are the most vulnerable section of our society and in the words of our current sexennial theme of the general chapter – they are our wounded world to whom we are called to manifest greater solidarity and accompaniment. The youth are not just the future of our Church, they are our “today”. If we don’t reach out to them “now” there will be no church in the future. “May the Lord bless our steps, so that we can listen to young people, be their neighbours and bear witness before them to Jesus, the joy of our lives,”. May this prayer of Pope Francis during the closing mass of the synod, become a reality in our life and mission as Redemptorists.